Due to High Demand and component shortages your order may experience a delay. We will notify you if a delay is expected otherwise expect 8-20 business days before shipment. 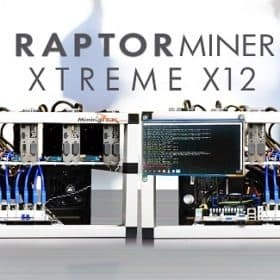 Backordered miners will have an ETA 20+ business days before shipment. It is possibly that orders may be shipped sooner. All purchases are built to order and tested before leaving our facility. Fully configured Ethereum, Zcash, Monero, Siacoin and more – Mining software with optimal settings. Can also be paid weekly in Bitcoin! Just plug in a keyboard/mouse, monitor and internet connection and you are ready to mine! Can mine Ethereum, Zcash, Monero, DubaiCoin (DBIX), Decred, Lbry, Siacoin and many more! Shipped in the next 8-20 business days, may ship sooner. Component delays may delay your order.